A high-speed railway between Sydney and Canberra is the kind of infrastructure project that should have been built in this country twenty years ago. Sydney is a major metropolis with a sprawling suburban fringe, Canberra is a compact mid-sized city with a mostly white-collar workforce less than 300km away. 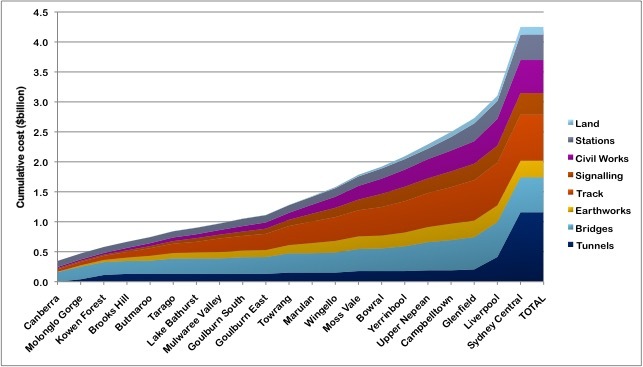 In between there are two major regional centres (the Southern Highlands and Goulburn) as well as a number of smaller townships with good potential as either tourist or commuter towns. The terrain, while often undulating and even hilly in places, is not overly difficult; the urban sprawl of Sydney is not yet so dense as to make a high-speed rail corridor an impossibility. Yet despite the promise, no previous proposal has been successful. Why? Previous high-speed rail proposals have been all about the capitals – outrageously quick travel times between CBDs, but few stops if any in between. The goal was to compete (just barely) with air travel, not improve access to the regions. This had the dual effect of increasing construction costs well beyond the point of unviability, and also having little positive effect on the vast spaces between the major cities. Hot Rails takes the opposite approach: the focus is on increasing the accessibility and convenience of regional living, rather than on inter-capital travel (which is already well served by air travel). As such, the design philosophy has a strong emphasis on maximising the number of regional stations served, and locating regional stations close to town centres (ideally at existing railway stations), while keeping the option open to upgrade to faster speeds with future investment. What follows is a radically different high-speed rail proposal for Australia – one in which the focus is on incrementally bringing the existing railway into the 21st century, and sharing the benefits among all regions of Australia. By serving more people, more towns, and ultimately delivering more benefits for a fraction of the cost, this is the way Australia can finally join the high-speed rail club. 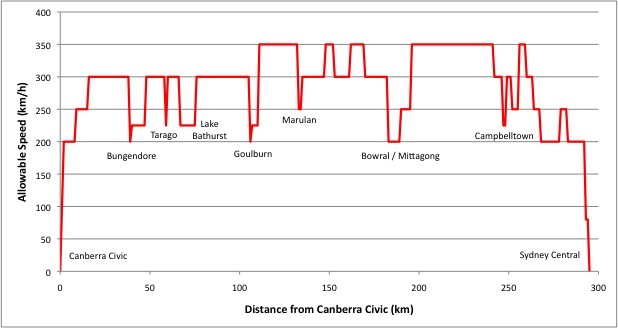 Sydney and Canberra’s city centres are about 247km away as the crow flies, with varied terrain in between. Though much of it is flat to undulating, the Nepean Valley, Illawarra Escarpment and Molonglo River gorge present significant geographic barriers. Most of the plausible routes through this terrain have already been utilised by existing highway and rail transport corridors. As such, the 295km route identified in the Hot Rails study follows the existing railway for most of its length, except in the Upper Nepean region between Mittagong and Campbelltown, where it broadly follows the Hume Highway. In metropolitan Sydney, from Glenfield it uses existing rail corridors as far in as Strathfield, then finishes the final 10km to Central in a newly constructed tunnel. The minimum design radius was set at 1000m, which allows tilting trains of the same type used in Germany and the UK to travel at 200km/h. This decision was taken to aggressively minimise capital costs while still achieving a revolutionary speed increase compared to other transport options in Australia. Nevertheless, where terrain allows, the design radius was relaxed to 1800m (allowing 250km/h) or ideally 3000m (allowing 300km/h with non-tilting, TGV-style trains) to allow for future speed increases. The proposed railway is not electrified, and would use diesel- or turbine-electric trainsets. Proposed alignment for Canberra to Sydney high-speed rail – click to enlarge. Note: AECOM refers to the 2013 High-Speed Rail report for the Australian government by the multidisciplinary engineering firm AECOM. Example of alignment design between Bundanoon and Moss Vale. Existing railway is black, proposed at-grade alignment is solid colour, alternative alignments are dashed. At-grade is yellow, bridges are blue, tunnels are red. Bungendore Medium 9km $150 million The town would have to be bypassed with an 8.8km deviation beginning at the Ellendon St underpass and rejoining the mainline near Butmaroo. The terrain is undulating but would probably not require tunnels or bridges. Tarago Low-Medium 4km $50 million The curve south of the town (near Mt Fairy) would need reshaping to ease radius from 1500m to 3000m. This would require about 4km of additional earthworks. Lake Bathurst High 8km $200 million The township would need to be bypassed with an 8km deviation beginning just north of Tarago and taking the alignment across the other side of the Mulwaree River and rejoining just north of the town. Much of this deviation would have to be on floodplain culverts. Marulan Low 1.5km $35 million The curve requires easing from the existing 2000m to 3000m. This could be easily achieved by extending the existing curve further into the adjoining paddocks although the Hume Highway onramps would have to be slightly reconfigured. Goulburn Medium-High 12km $225 million About half of the deviation could use the Hume Highway corridor which has an existing radius of 3000m. A 2km-long viaduct would be required toward the southern end of the deviation to cross the Mulwaree River flats. Bowral/Mittagong Very high 15km $800 million + Depending on the route taken the deviation would have to be between 14 and 17km in length and comprise at least 1km of floodplain culvert and 2.5km of tunnel (possibly as much as 6km). Campbelltown Low-Medium 2km $50 million The existing curve radii at Leumeah and Ingleburn are 1500m and 1800m respectively but they could be relatively easily increased to the requisite 3000m with only minor modifications to existing roads and private property. This would allow 300km/h transit to Liverpool. To get the most benefit out of high-speed rail, it is critical that a large number of stations be served. 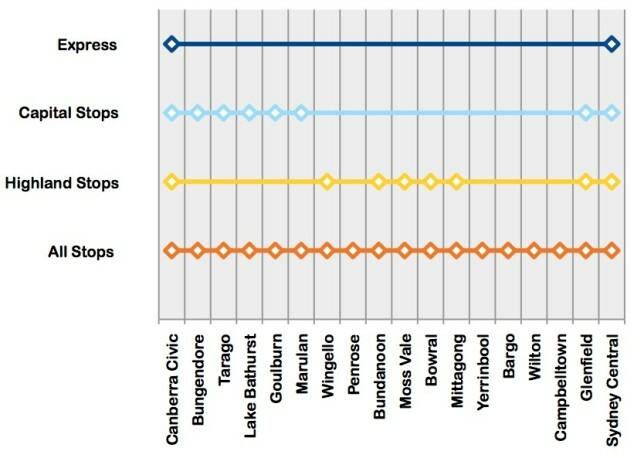 Hot Rails serves 15 regional stations between Sydney and Canberra compared to just one for the government study. This is another advantage of operating at 200km/h rather than 350km/h – it’s much easier to make frequent stops without destroying your average speed. High-speed rail won’t have much impact on an area if it doesn’t stop there. However, too many stops and the average speed drops significantly. For this reason several alternative stopping patterns should be offered. A financial analysis of the fast railway, including detailed passenger projections and fare estimates, will be the topic of an upcoming post. The word “transformative” gets thrown around a lot, and nowhere more so than in proposals for high-speed rail. I previously assumed that the whole “transformational” schtick was just marketing gobbledygook. However, it has an insidious effect on the practicality of a project. When your proposed project is a “transformational” 350km/h mega-engineering feat, the costs blow out way beyond that required for an incremental improvement of existing rail infrastructure. The blisteringly fast top speeds are great for headlines, but sadly ensure the financial unviability of the project. 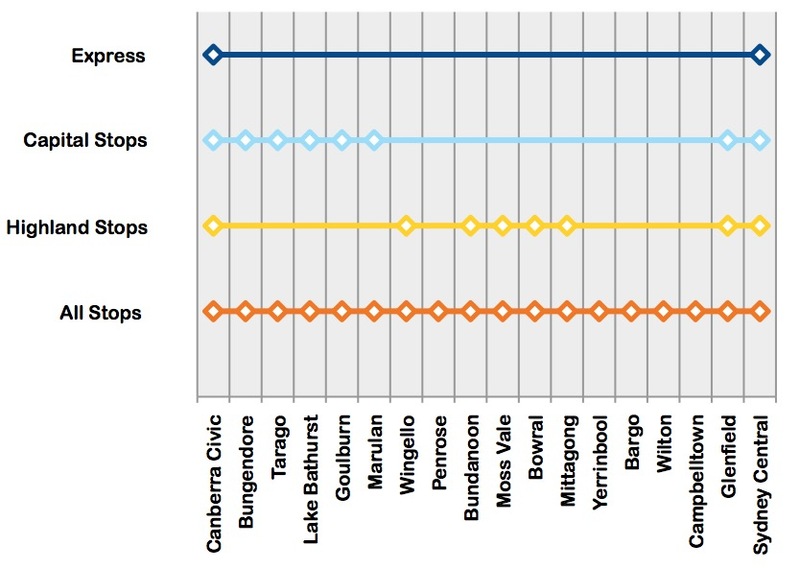 The Hot Rails proposal is more modest, but would still be a revolutionary change to Australia’s transport mix. It is easily achievable with existing technology, yet also able to use most of the existing rail corridor with minor improvements to alignment and hardware. Not only that, but it would be able to begin services to the closest stations in just a couple of years from the start of construction, compared to many decades for the super-fast megaproject. And on top of that, the corridor would be capable of future upgrade to 300km/h if the demand for it justified the large expense in doing so. 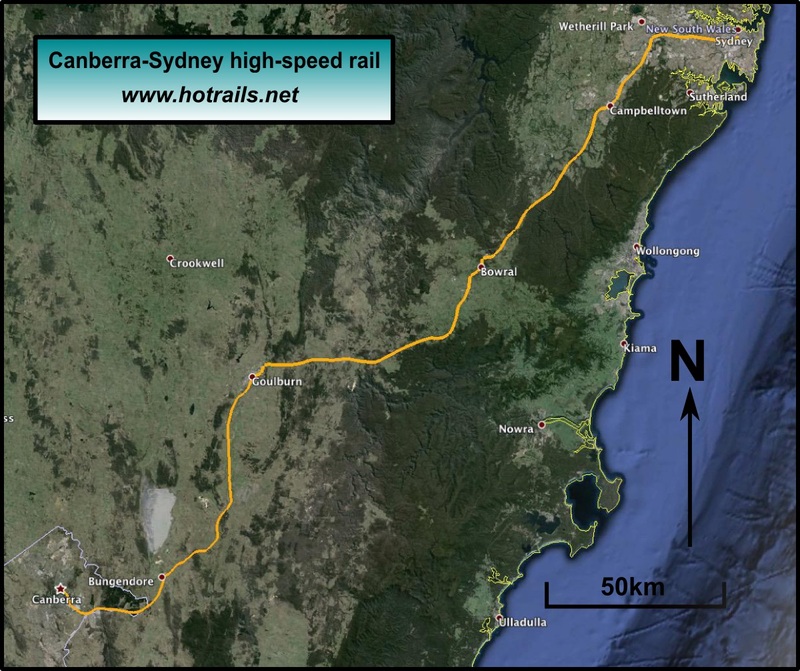 Hot Rails shows that high-speed rail in Australia can be done without entirely new rail corridors, without prohibitively high costs, and without extremely long construction timelines. It is the first proposal in 20 years which could be financed by the private sector at no net cost to the taxpayer. 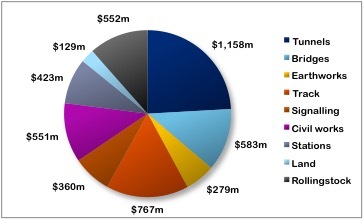 And it is the only proposal to focus on regional Australia rather than the capitals. The Hot Rails plan for regional fast rail is the only realistic way to get Australian railways back on track. 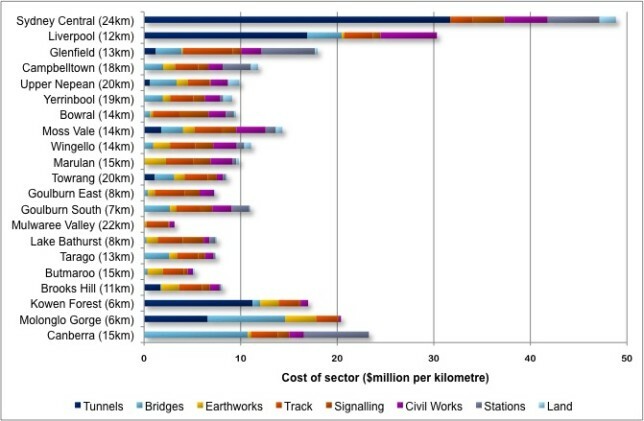 alignment, budget, Canberra, construction, cost, design, regional development, scheduling, stations, Sydney, upgrade. Bookmark. I love it! A common sense approach starting small but being upgradable when the time comes. Allows an ROI before going to the 350km/h phase. Thanks for stopping by! As well as getting cash flow early, a short construction timeline (to the closest destinations) will build public support as people see the benefits immediately. Very important for large scale civil infrastructure projects that require long-term bipartisan support! This is a very realistic and exciting proposal – as fast as you need to go and no faster. The European experience has demonstrated that end-to-end transit times of 2 hours or less will cause travellers to switch from other modes to rail. and would attract travellers from air, bus and car modes. The primary mode for business travel between Canberra and Sydney is private car (not air). It’s worth noting that the Murrays coach service (3.5 hours) already competes head-to-head with Qantas and Virgin for passenger numbers on the Sydney -Canberra route. Battery electric traction – an emerging option for fast passenger rail. Current lithium battery energy densities (100kwh-250kwh/tonne) are not light enough for battery-only operation of fast passenger trains, although the technology is now being deployed in hybrid trains. The next generation of lithium battery technology, based on lithium sulphur chemistry, is now coming into production after a decade of development, and is already achieving cell-level energy densities of 250kwh-400kwh/tonne. It is expected that 500kwh/tonne will be available by the early 2020s, and 1000kwh(1MWh)/tonne around the late 2020s/early 2030s. 500kwh/tonne would be light enough for fast passenger train operation over the Sydney-Canberra route, and would provide all of the advantages of conventional ‘wired’ electrification, with better acceleration, energy regeneration on gradient descents and braking, and operation on 100% renewably sourced electricity produced in the region.